Majdanek Waltz / Sal Solaris - "Tenebrae"
A collaboration album by two prominent Russian post-industrial projects Majdanek Waltz and Sal Solaris. The conceptual core of the record is the poetry of Paul Celan, one of the major German-language poets of the post-World War II era. His cryptic fractured lyrics spoken in a specific estranged way by Pavel Blumkin is enchased by a weird fusion of avant-garde neoclassic and dark ambient music. This record will seem unusual even for those who are already familiar with the works of both projects. Here you won't find neither soulful neofolk songs, nor strong power ambient - instead the decadent sounds of violin, cello, clarinet, piano and bayan from Majdanek Waltz blend with shimmering electronic drones and uneasy soundscapes of Sal Solaris in paradoxical unity making your heart throb painfully. The last track features the haunting voice of Rada Anchevskaya (Rada & Ternovnik). It won't be so easy to fall in love with this album from the first spin. It's like an eerie irrational dream able to frighten and cause a desire to wake up somewhat quicker. But the depth of this dream lures and makes you return and experience it again and again. "This is time's eye: it squints out from under a seven-hued eyebrow. Its lid is washed clean by fires; its tear is hot stream. Towards it the blind star flies and melts at the eyelash that's hotter; it's growing warm in the world and the dead burgeon and flower". On Tenebrae, Majdanek Waltz and Sal Solaris, who have already worked together before, finally redeem the promises made by their earlier material. It is drone ambient decorated with separate organic instruments, such as piano and strings, and with poetry-like speech segments. Style-wise, excluding a couple of moments, it comes very close to Donis’ divine Alexandreia (2007), even as it does not reach that level of perfection. 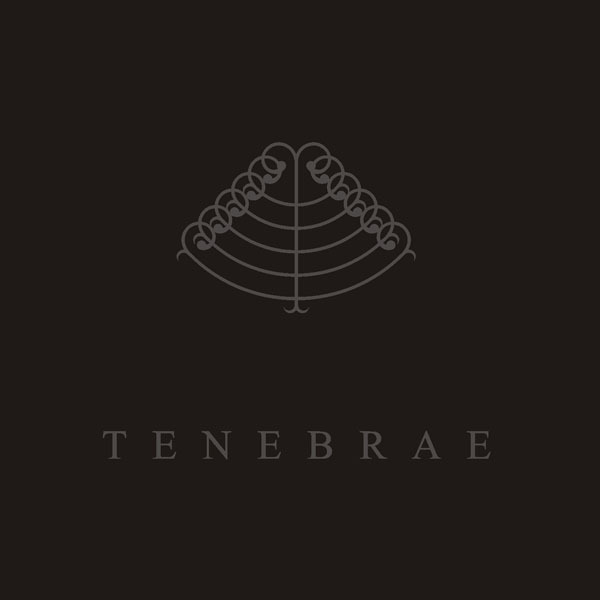 Tenebrae is beautiful in a cold kind of way, and at least for a listener who does not understand Russian, it has something distancingly powerful. It is as if one would observe sacred ritual from afar, seeing just its beautiful structure, but without understanding its meaning or true content. At least as such, it works really well, particularly whenever either the piano or the violin is in a prominent position. The German-spoken parts of the ending track do work, too, and it has a nice melody in it, but it does not reach the intensity of the Russian-language parts. There are few pages in the world’s history that everyone would like to forget, but which is needed to be in the memory of each and every person. One of them is World War 2, one of the greatest wars in the history of mankind. Millions of souls were eliminated, millions of destinies mixed into one huge cocktail. Those that survived those crazy times always keep in their mind the vision that stays with them for the rest of their lives. The expressions of this brutal and ugly war can be seen in different projections of human creations, and poetry was not left behind of course. One of the best lyrical poets of post-war Europe is the offspring of a German speaking Jewish family, Paul Celan. That man, whose best years were spent under the shadow of Nazi excruciation, survived the holocaust and after the war ended, tried to put his thoughts into words which could open up the world, at least a little bit, to all the suffering and pain from the darkest years of mankind. Five tracks that can upend the inner world, deeply touching the strings of emotions. The drones pulsate, verifying each word and explodes the night with the sparks of piano and violin. The endless ruins covered with dust and ashes, rise as the eyewitnesses of the misplaced epoch. This is not the album for a background listening during the everyday life. It demands the full concentration in order to absorb all the messages. Every sound, every sample, every melody has it’s own meaning and to express poetry as much as possible. Full of deprivation and melancholy. 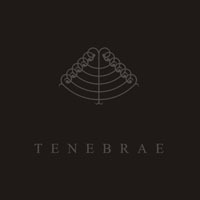 “Tenebrae” is an album which resulted from the collaboration of two Russian projects. The conceptual core of the record is the poetry of Paul Celan, one of the major German-language poets of the post-World War II era. Parts of his work have been interpreted on this work and paired with a kind of soundtrack music. The result is pretty minimal and into pure experimentalism. Some clarinet parts emerge to the surface while reminding me of good-old 80s experiments. A few more classical instruments like violin, cello and piano were used as well. Besides of the more ‘traditional’ instruments it all sounds like field recordings emerge to the surface of a few tracks. It creates a kind of sonic puzzle, which brings the listener into a rather enigmatic sound universe. “Tenebrae” is a complex record that will appeal for a very restricted, but familiar number of listeners. 'Tenebrae' is a joint project between Majdanek Waltz and Sal Solaris, two Russian music collaboratives along the Neofolk/Ambient/Dark Ambient/Industrial vein. Majdanek Waltz leans a bit more to the neofolk side, while Sal Solaris leans more toward the industrial side. The conceptual core of 'Tenebrae' is the poetry of Paul Celan, one of the major German-language poets of the post-World War II era. (His cryptic fractured lyrics are translated into Russian and spoken in a specific estranged way by Pavel Blumkithe on this recording.) Chances are the majority of readers reading this review will have no clue who Paul Celan was (and could care less) but the curious might investigate. Still, the recitation in Russian may put off Western ears even further unless you the language is familiar. I have to admire the execution though, even if I can't appreciate the core concept due to my unfamiliarity with Celan's poetry and the obstacle of the language barrier. There is a remarkably claustrophobic, oppressive and foreboding ambience present throughout 'Tenebrae' as the setting for Paul Celan's abstruse, dour words. Even the mournful woodwinds and sparse piano evince certain desperation that might be typified in Edvard Munch's 'The Scream'. I couldn't help but notice an odd bit on the beginning of 'The Time's Eye' where it sounds like some radio transmission laced with a clarinet melody vaguely reminiscent of Zappa's 'Duodenum' instrumental off of 'Lumpy Gravy'. This is assuredly an aberration compared with the whole. In fact that track is largely dark ambient mixed with melancholy neoclassical. Unnerving atmosphere is the key component of 'I Heard That an Exe Bloomed Suddenly' (great title by the way) where a heavy dark ambient drone is the basis for much of the piece until what sounds like the steady drip of a water droplet enters the picture then becomes something more subtly mechanical. A sad line on the viola; a low note (or chord) played on the piano; the atmosphere shifts into something more fearful, then brief words of Paul Celan. 'Death Fugue' by its tile implies a dolorous state, and here the Neofolk/Ambient/Dark Ambient/Industrial elements combined with (WWII era) voice recordings in German make for a grim epitaph of that period. It would be a fitting soundtrack for a Holocaust documentary, although the implications of the track likely have a more far-reaching symbolism. Again Celan's words enter the picture, and perhaps their impact might be somewhat diminished spoken in Russian, rather than Celan's native German, although from a visceral standpoint, no language is better suited for bleakness than Russian. The haunting theremin-like voice of Rada Anchevskaya at the end of the piece adds a particular poignancy. Point of fact is though that the Celan recitations are pitifully little of this work as a whole in terms of time allotted to them. They seem more as a footnote to the atmosphere that Majdanek Waltz and Sal Solaris have created. In that, there is still much merit in this work even if you don't care a feather or a fig for Paul Celan and his poetry. Undoubtedly the experience would be enriched (intellectually and possibly emotionally) by a familiarity with the poet and his works, but certainly not a requirement to enjoy 'Tenebrae'. I use the word 'enjoy' relatively though, as this is quite a depressive album. Before treading the deeper waters of 'Tenebrae,' it might be advisable to check out other works by Majdanek Waltz and Sal Solaris first.